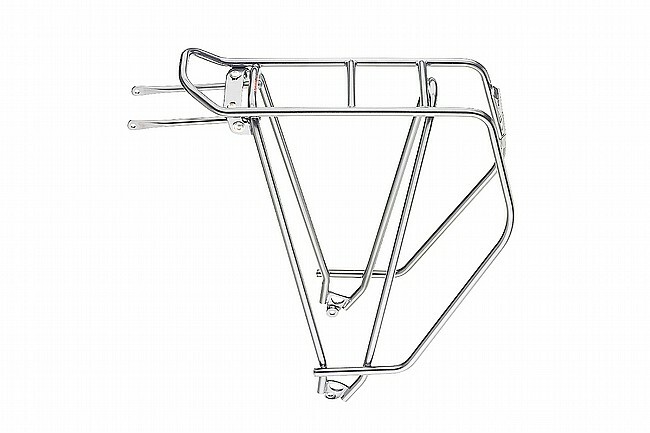 One of the toughest bike racks on the market. The Tubus Cargo Rack is the perfect addition to any touring set-up, offering serious durability with simple style -- and without the extra weight. This new Evo model features 3D attachment feet for improved impact absorption and integrated screw attachment. Fits all bikes with 26"wheels and most bikes with 700c wheels (up to a 32mm tire with fenders).